A review of the Tandy Health Insurance Company finds the Tandy Life Insurance Company, a company that is no longer actively in business. From our research, it appears that the insurer closed up shop either before or when Tandy Corporation because Radio Shack in 2000. Currently, the Texas Department of Insurance lists 77 customers for Tandy Life Insurance policies–a number that dwindles every year. Get health insurance quotes right this moment by entering your zip code into the box given. According to Gallup-Healthway’s recent iteration of its Well-Being Index (http://www.well-beingindex.com/), more than one-quarter of Texas legal residents have no health insurance coverage. This includes private health insurance, as well as Medicare and Medicaid. If you live in Texas and are looking for health insurance coverage for your children, read on! This review, instead of the defunct Tandy Life Insurance Company, will instead be for the Texas Children’s Health Plan. The Texas Children’s Hospital launched the Texas Children’s Health Plan in 1996, to address the local need for affordable health coverage for children. The program was the first HMO in the U.S. geared solely to children. Today, Texas Children’s Health Plan also covers pregnant women, as well as adults. The Texas Children’s Health Plan engages a team of community outreach representatives who work with local organizations such as churches, schools, daycares, and apartment complexes. Through health fairs, parenting classes, and free immunization clinics, they help to spread information about the insurance company, as well as important information on health and wellness. You can also call them toll-free 1-800-990-8247. The Texas Children’s Health Plan has more than 300,000 clients in Houston and surrounding counties, as well as 2,100 provider practitioners. All of its staff operations are located in Houston, and the bulk of its employees work out of the Texas Medical Center in Houston. 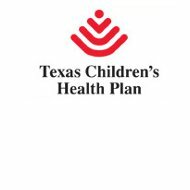 The Texas Children’s Health Plan consists of two separate policies: it administers the Children’s Health Insurance Program (CHIP) and the STAR/Medicaid managed care program. Families need to apply to Texas Health and Human Services for both programs. CHIP is intended for families who have an income too high to qualify for Medicaid, but too low to afford the price of private insurance ($20,001-$39,999). With CHIP, eligible children under the age of 19 receive comprehensive health coverage, including regular doctor exams, x-rays, laboratory tests, prescriptions, specialist visits, eye exams, glasses, hospital visits, and more. Families won’t pay more than $50 a year for coverage, and some won’t pay anything. Co-payments are $3-$10 per visit. If you’re interested in finding employment with the Texas Children’s Health Plan, your best bet is to look on the Texas Children’s Hospital website (http://www.texaschildrens.org) and reading through the information found under the “Careers” tab. There are two medical and two dental plans to choose from, with contributions made on a pre-tax basis for both. Enter your zip code into the free toolbox below and we’ll find the best health insurance rates for you in your area!